A search of hundreds of beaches across the UK has found almost three-quarters of them are littered with tiny plastic pellets. 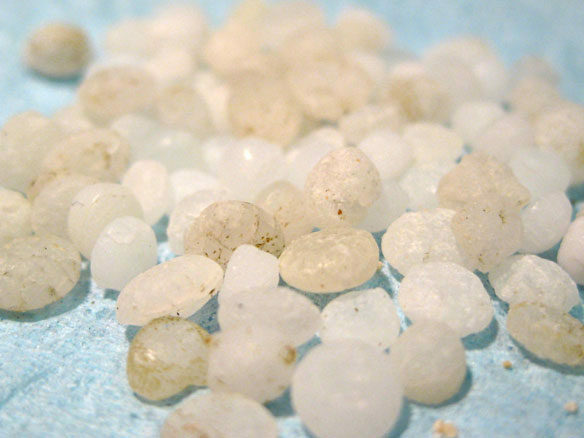 The lentil-size pellets known as “nurdles” are used as a raw material by industry to make new plastic products. Plastic Pollution: The Great Plastic Tide, Coastal Care ©-2009.